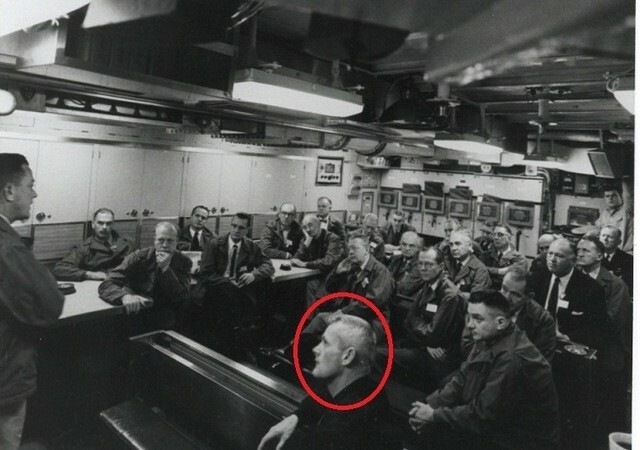 The man in front is said to be Valiant Thor, a benevolent alien from Venus who worked with the U.S. government. The photo was presented by Phil Schneider, who said he met the alien while working on secret government operations, at the 1995 Preparedness Expo. Thor left Earth on the morning of March 16, 1960, according to Dr. Stranges. He left in a spaceship from Alexandria, Va.